Warranty coverage described below applies to the Americas. Other regions may differ. Ingersoll Rand Limited Warranty: Ingersoll-Rand Company (“IR”) warrants to the original user its power tools (“Tool”) to be free of defects in material and workmanship for a period of two years from the date of purchase. IR will, at its option, either (1) repair, without cost, any Tool found to be defective, including parts and labor charges, or (2) replace such Tool or (3) refund the purchase price, less a reasonable allowance for depreciation, in exchange for the Tool. Repairs or replacements are warranted for the remainder of the original warranty. If any Tool proves defective within its original two-year warranty period it should be returned to any Authorized Tools Service Distributor, transportation prepaid with proof of purchase or warranty card. This warranty does not apply to Tools which IR has determined to have been misused or abused, improperly maintained by the user, or where the malfunction or defect can be attributed to the use of non-genuine Ingersoll Rand repair parts. INGERSOLL RAND MAKES NO OTHER WARRANTY, CONDITION OR REPRESENATION OF ANY KIND WHATSOEVER, EXPRESSED OR IMPLIED, STATUTORY OR OTHERWISE, AND ALL IMPLIED WARRANTIES AND CONDITIONS RELATING TO MERCHANBILITY AND FITNESS FOR A PARTICULAR PURPOSE, ARE HEREBY DISCLAIMED. IR’s maximum liability is limited to the purchase price of the Tool and in no event shall IR be liable for any consequential, indirect incidental or special damages of any nature arising from the sale or use of the Tool whether in contract, tort or otherwise. Note: Some states do not allow limitation on incidental or consequential damages, so that the above limitations may not apply to you. This warranty gives you specific legal rights and you may also have other rights which may vary from state to state. THE MATERIALS IN THIS SITE AND ANY LINKED THIRD-PARTY SITES ARE PROVIDED "AS IS" AND WITHOUT WARRANTIES OF ANY KIND EITHER EXPRESS OR IMPLIED. 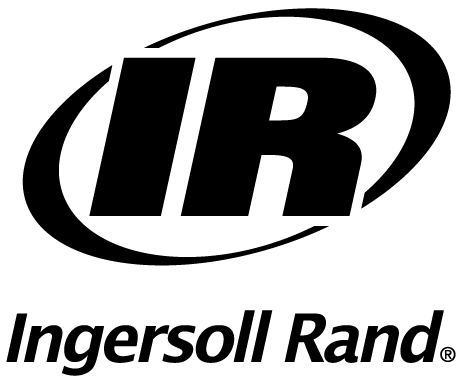 Ingersoll Rand does not warrant the accuracy or completeness of the materials or the reliability of any advice, opinion, statement or other information displayed or distributed through the site nor make any representations regarding the use or the results of the use of the materials in this site or in any linked third-party sites. TO THE FULLEST EXTENT PERMITTED BY LAW, Ingersoll Rand DISCLAIMS ALL WARRANTIES, EXPRESS OR IMPLIED, INCLUDING, BUT NOT LIMITED TO, IMPLIED WARRANTIES OF MERCHANTABILITY, NONINFRINGEMENT, AND FITNESS FOR A PARTICULAR PURPOSE WITH RESPECT TO THIS SITE OR ANY LINKED THIRD PARTY SITE. SOME JURISDICTIONS DO NOT ALLOW FOR THE EXCLUSION OF IMPLIED WARRANTIES, SO THE ABOVE EXCLUSIONS MAY NOT APPLY TO YOU. You (and not Ingersoll Rand) assume the entire cost of all necessary maintenance, repair or correction resulting from your use. Ingersoll Rand reserves the right, in its sole discretion, to correct any errors or omissions in any portion of the site. Ingersoll Rand may make any other changes to the site, the materials and the products, programs or services described in the site at any time without notice. Before performing any service always follow applicable safety precautions. Consult company safety manual or supervisor for questions concerning safety. In no event shall Ingersoll Rand be responsible for any consequential, incidental, indirect, punitive or special damages related to this site nor the information contained in this bulletin.